So, you are going to record a voice-over. The first thing you got to keep in mind is that the overall success of your voice-over depends on the quality of the mic you choose. So it is better to approach this choice more consciously! 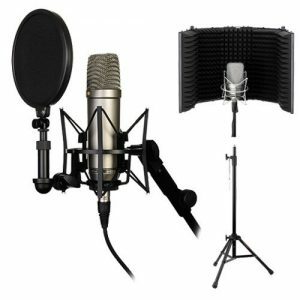 The list below consists of the best microphones perfectly suitable for home recording. Just scroll through it and choose the one you like most. First things first, however, beware that there are two types of microphones – condenser ones and dynamic ones. The first type requires a sound-proof studio or at least an introvert home where everything’s quite! If there’s a constant noise around you, don’t go for this type! Or, at least, read about filters or a model’s peculiarities. Dynamic microphones are the most widespread type – it is used by singers, celebrities, etc. However, sound quality may leave you unsatisfied. It won’t capture surroundings, no, but with that, it won’t capture specific intonations of your voice, trembling, and other elusive details. It is up to you to decide, of course! We’ll dig deeper into the differences between the two while reviewing the models. So, read on, my dear reader! Rode NT1-A is a condenser microphone that has a cardioid polar pattern. If you must know what cardioid polar pattern is – it means that the sound is captured from the front, if we could draw an area that’s being captured, it would be in the form of heart. The microphone has a large diaphragm which is preferable if you want to record high-quality sounds. There are two ways any mic can be connected to a computer – USB and XLR. This one has an XLR input meaning that it requires the power a simple USB cable is not able to provide. In essence, this once again means that the mic is designed for high-quality recording. The evident disadvantage is that you can’t connect it directly to your device whatever it is. An additional sound card is required. 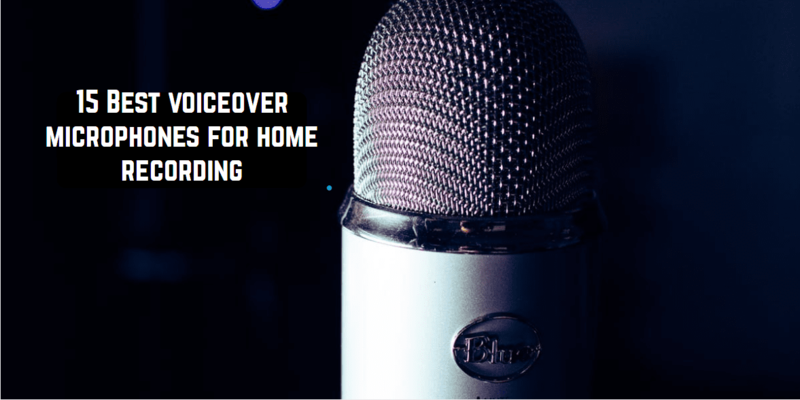 If you have noisy neighbors or annoying birds flying outside your window, or maybe cars going back and forth now and then, you’ve probably already refused from buying a condenser mic. However, here’s a good news – this mic comes with a special filter that reduces ambient reflections in your recording making it more clear and less in need of editing. How wonderful? What the package also includes is a cable, a dust cover, and DVD (yeah, they still exist). By the way, DVD is very useful – lessons kept there explain clearly how to make truly great recordings. All in all, Rode NT1-A is everything a voice-over talent or an audio lecturer may desire! And, what is important, its price does not bite. It is probably the most popular choice among content creators, so don’t omit this option! 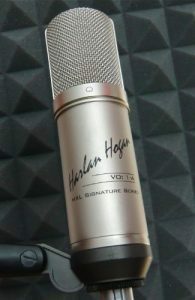 This Harlan Hogan model is designed for making voice-overs. It is a condenser microphone with a nice golden diaphragm that is quite large for recording great sounds. The diaphragm contributes to smooth recordings with no harsh sounds meaning that the mic is suitable even for women with high voices. In any case, the producer supports auditioning before buying – a full return policy ensures everybody is content with the purchase. The package includes not only microphone itself, but also some additional equipment that is necessary for a recording process – a shock mount, a cable, a fleece lined vinyl pouch (how nicely it sounds! ), and a case for everything. Needless to say, that this is another mic that can be used by professionals. That said, the price is not that high. If you are an advanced amateur, you will probably be able to afford it! If not yet, don’t worry – the article covers cheaper model as well. For now, if this model appeals to you, don’t forget to check it on Amazon! Audio-Technica AT2020 is a famous mic that is totally suitable for producing home-made voice-overs! We have a separate review on this one – Audio-Technica AT2020USB Full Review – but I will try to cover all the essential details anyway. The mic uses a USB cable to connect to a PC or Mac. On the one side, it is very convenient since you don’t need any additional equipment, whereas, on the other, you might find that the quality is not so perfect as in the cases above, for example. However, nobody banned recording software that is nowadays able to do a real sweetie out of nothing! Don’t get me wrong though – the quality is still very good. Plus, it doesn’t cost an arm and a leg. Audio-Technica provides lots of possibilities – you can record your voice with the music on, meaning simultaneously talking (or singing) and listening to the background soundtrack. So, no tracks are really necessary, just make all the preparations and you’ll get a ready record! One more feature is regulating volume while recording. And another one is connecting to your headphones. So, as we can see, this is a truly great equipment for making voice-overs! As well as for singing, podcasting, and lots of other different activities. Its two biggest advantages are user-friendliness and an average price. Let’s call Audio-Technica AT4040 an elder brother of AT2020. An elder brother of AT2020 is very different from his (or her?) younger sibling. Of course, it is also a condenser mic like all the mics in the family, however, there are some characteristics that make him special (okay, let’s drop the family thing). This mic looks extremely stylish. The technical precision allows recording a wide range of sounds without low-frequency distortions. The large modern diaphragm is made for recording in the smoothest and the most natural way possible, so high-quality is guaranteed. Beware that this is a condenser mic though – if your environment is busy, think twice. The mic requires additional equipment. It comes with a padded case, an antidust velvet case, a shock mount. To learn more, check Amazon or an official website. In sum, this is an amazing microphone either for home recording and for studio recording. 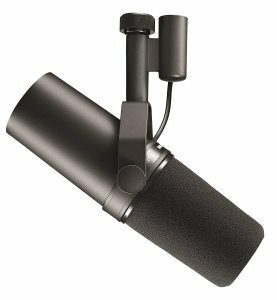 If you want your mic to be visually appealing, just look at this fine model! 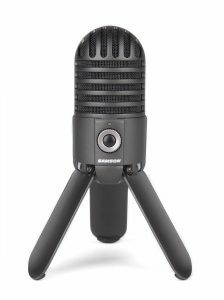 Samson Meteor Mic is an amazing choice for beginners or for those who need a mic for general purposes such as talking via Skype or recording something for oneself. But! It is suitable for bigger purposes as well. Despite the fact that the mic works through a USB cable, it is able to capture a wide range of sounds. This is a condenser mic and it has a cardioid pattern, which already tells a lot about the quality. 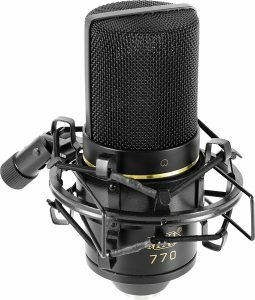 Of course, the quality may not be the best if we compare it to what professional condenser microphones produce, but it is still great – on its own level the mic does a great job. Besides, it is portable and way more convenient than high-quality mics. It has legs, so you can just place the mic on your table next to a laptop. No prearrangements – everything’s easy as a piece of cake. Some people are trying to record sounds using embedded mics of their devices – this is no way to do it! – don’t hurt people’s ears. 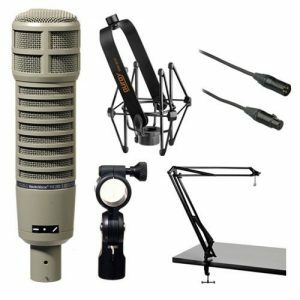 Instead, it is better to acquire something like this – the mic will not only give you an opportunity to create voice-overs but also will improve the quality of your talks with friends and other experiences connected with making sounds. Go on – check the price! Now, we have a true home-recording vibe! Here’s one more good USB condenser microphone. This one combines the convenience of USB input and high-quality. All as usual. The mic is used for singing, podcasting, creating lots of different kinds of materials. It has regulating buttons on the sides and, well, the overall look and functionality are great. Rode NT-USB can be placed on a desk or used with a special tripod stand that comes with it. Apart from the stand, the package contains a pop shield that prevents P-sounds from ruining a record and a desk mount. The producers promise to ensure low noise levels. Why not trust them? After all, Rode is a leader in mics production, so it won’t let you down! One more option to consider. MXL 770 is a multipurpose microphone originally meant to serve musicians and singers but eventually ended up serving voice artists including voice-overs creators. So, it is for everyone! FET preamp and balanced output make up for a wide range of sounds and this means a more natural voice flow. The price of this piece of equipment is not high at all – in fact, it falls within the budget category. 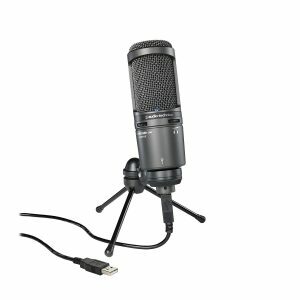 So, if you are looking for a cheap but still good mic, this might be the one! As always, there is a protection against unpleasant background noises. And, of course, the look of the mic is so so cool! Sennheiser MKH416-P4U3 is the first shotgun microphone on our list. Shotgun mics are usually narrow and pointed – directed straightly to the source of sounds – in our case, the narrator, someone who makes a voice-over. By being pointed directly, the mic obtains a possibility to ignore side sounds. This mic is expensive. So if your home recording is not a big deal yet, look for cheaper versions. The difference is not that crucial even if considerable. Sennheiser is created for all types of recordings, even for outside usage. Its portability and protection against adversities make it amazing for outside broadcast jobs or traveling vlogs. Come rain or come shine, this mic will keep your voice being recorded and eventually heard. All the qualities mentioned above plus sensitivity make people call this microphone a ‘golden standard’. So, if you’ve gained some progress in recording voice-overs, why not to improve your work even more by buying a premium-quality equipment? It is better not to rush into such decisions at the beginners’ level though. One more premium quality mic. Newmann TLM 103 has also become a standard for home recording and even for studio recording. The mic is created for professional and semi-professional usage. It comes in two colors – golden or so-called satin nickel and black – matte black. The large diaphragm makes up for a clear and accurate recording. Special polar pattern, which is, in essence, a cardioid pattern, is done in such a way that low noizes stay out of the recording. The mic comes together with a swivel mount to hold it and a wooden box to keep it. Newmann TLM 103 is really one of the top microphones in the market. If you want something truly amazing, definitely check it out! Finally! The first dynamic microphone on our list – something that is suitable for all kinds of environments, even the noisy ones. So, if there is a hustle and bustle in your neighborhood, this is for you! Electro-Voice RE20 is a good quality mic that is able of producing clear sounds. It has several filters in it – against blast, against the wind, internal pop-filters (nobody needs unpleasant P-sounds on the record). 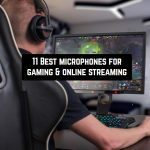 The mic connects to PC through XLR cable – yeah, it is quality over convenience. Frequency response is 45Hz – 18kHZ, which is more than enough to capture even small details of your pronunciation. 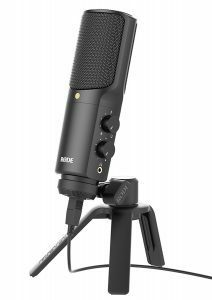 There is additional equipment you’ll need to acquire in order to be able to use the mic, like a stand, a shock mount, and others. You can find all of these things on Amazon as well. There are articles on our website that can help you do that more quickly. For now, let’s say that this is a good dynamic microphone! If you are not keen on condenser oneы, why not to give RE20 a chance? Bottle Tube series is designed in an old-fashioned vintage way. This is an excellent series of microphones mostly suitable for singers and musicians but can be used for voice-overs as well. The large diaphragm can be fine-tuned in an array of ways in order to create unique polar patterns and timbres. It permits you to change the sound of your voice in many different ways, so if you get bored with one way of sounding, you can always choose another one. Of course, this is an advantage in the eyes of the individual mics. If you are always wondering where the heck you need to find an outside audio interface so that all the cables and inputs were well-fitted together, wonder no more! If you choose this mic, it will come with an outside interface perfectly ready for usage. So, if you are an old-fashioned blues soul, don’t neglect this option! Who knows? Maybe your voice-overs will sound even more interesting! 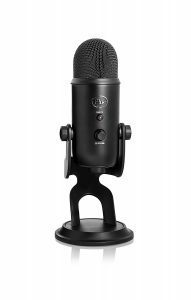 Blue Yeti USB Microphone comes in a number of colors – blackout, white, silver, platinum, red, etc. – in a nutshell, for every taste! The color, however, is not that important. What’s important is functionality, and here it is truly great. Just like in the case above, Yeti has a multipattern selection – there are four patterns to choose from, and you can select the right one for your particular situation. In general, there are two buttons on the mic. The first one is pattern selection (not so much of a button, actually), and the second one is a mute button so that you could stop recording/speaking at any moment a distraction appears. What Yeti also has is two inputs – one of them is for your headphones. If you prefer desk position, you can use it effortlessly – you won’t even have to buy additional equipment since everything comes in one package. But if you prefer to use a stand, that is also possible. If you have a stand! One last detail is USB input. As discussed earlier, USB input means a direct connection to your device. Just like all the modern mics, this one supports all kinds of operational systems – Mac, Windows, whatever. So, an excellent choice for making voice-overs! If you are hard on money these days, it is okay! 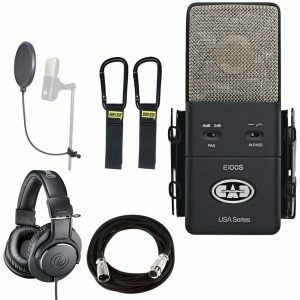 You can still buy a decent mic and make progress in your work. 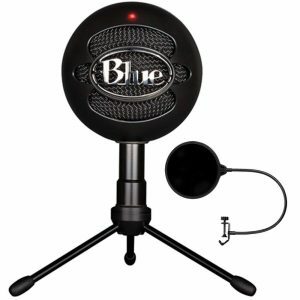 This Blue microphone, for example, doesn’t cost much. 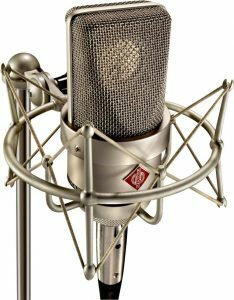 With that, however, it provides high-quality recordings, pristine sounds and all that is so appreciated in good voice-overs. The mic’s input is USB. The mic is protected by a pop shield and has a condenser cardioid capsule that is probably the best choice for voice recordings. All in all, one more great choice that will not only increase the quality of your voice-overs but also will contribute to better online-conversations and other activities of this kind! Shure SM7B is a dynamic microphone. It is a good choice for singers. You see, sometimes dynamic mics are more preferable because they make your voice smoother and more pleasant. If you have a screechy voice, this is what you need (just a joke, all voices are wonderful if used in the right manner). Shure SM7B is a very popular model. It costs less than some condenser mics, but it is able to reproduce speech or music just like them. Natural and precise sounds are guaranteed. 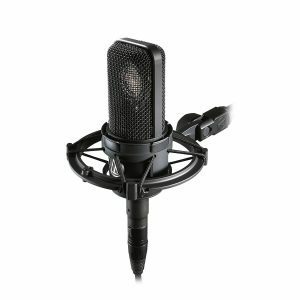 The mic uses a cardioid polar pattern – the most popular one. The package includes three items besides the mic itself – foam filter, close-talk filter, and locking yoke mount. So, one more professional microphone to take a look at. This is an icing on our cake! CAD microphone is a true finding for those who are interested in making voice-overs at home. In its features, it doesn’t differ much from the rest cardioid condenser mics. Well, probably, just some buttons and regulators are placed differently – nothing to talk about. The package that is described here though is a big time-saver for a voice-over talent. In addition to the mic itself, you get all the necessary details for your work – professional headphones made by Audio Technica, a cable, a couple of cable carriers, a shock mount, and, of course, a case. Plus, phantom power. Here, you don’t need to think: “Ah, I also need to buy this thing”. All you have to do is one purchase that resolves all the problems. So, if you are concerned with how much time you spend on reading reviews and picking up the right items, this lifehack will kill your doubts and save up precious minutes of your life! Thanks for reading up till the end! I wish you to make a good purchase and create a lot of successful voice-overs. Microphonetopgear is a participant in the Amazon Services LLC Associates Program, an affiliate advertising program designed to provide a means for us to earn fees by linking to Amazon.com and affiliated sites.